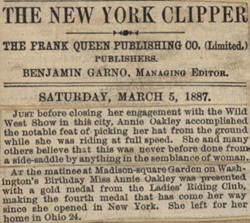 JUST before closing her engagement with the Wild West Show in this city, Annie Oakley accomplished the notable feat of picking her hat from the ground while she was riding at full speed. She and many others believe that this was never before done from a side-saddle by anything in the semblance of woman. 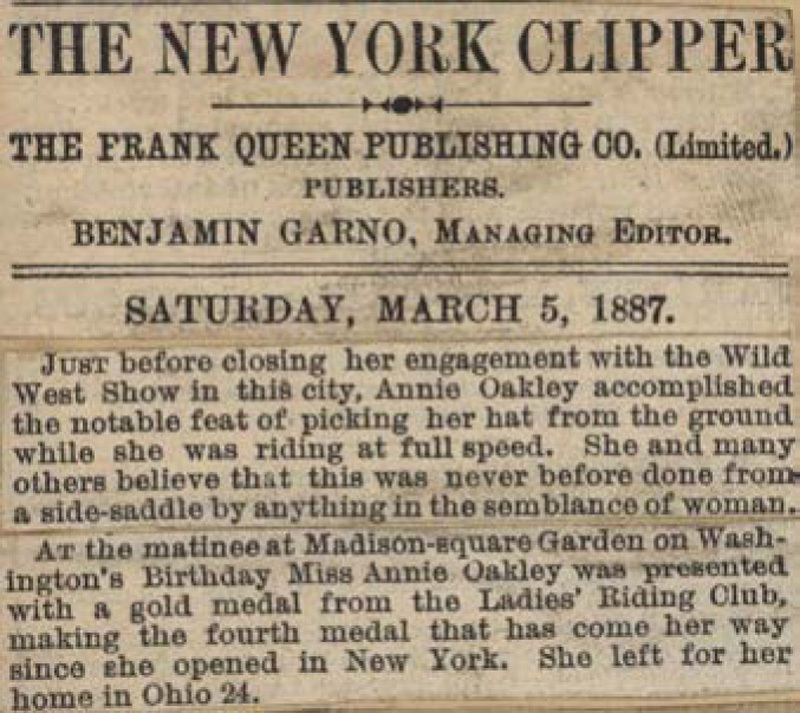 AT the matinee at Madison-square Garden on Washington's Birthday Miss Annie Oakley was presented with a gold medal from the Ladies' Riding Club, making the fourth medal that has come her way since she opened in New York. She left for her home in Ohio 24.